Starting in August 2018, Access Family Health, through a partnership with Monroe County Schools, Pontotoc County Schools, & Okolona Municipal Separate Schools, will provide a School-Based Health Clinic (SBHC) on the campus of Hatley, Smithville, Hamilton, North & South Pontotoc, and both Okolona schools. Thank you for your interest in our School-Based Health Clinics. Please refer to this page for the most current information regarding the SBHCs. What is a School-Based Health Clinic? A School-Based Health Clinic (SBHC) is a regular medical clinic located on a school campus. The purpose of having a SBHC is to allow students, faculty, and staff to stay at school as much as possible, which maximizes instruction time and productivity. What are the SBHC hours? Who will be caring for patients? Each SBHC is staffed with a Family Nurse Practitioner (FNP) or physician, a nurse, and a receptionist. 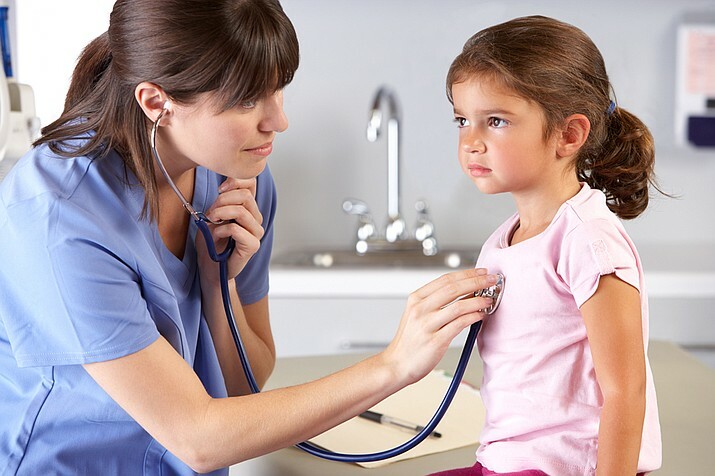 Am I required to sign my child up for School-Based Health Clinic services? Not at all; however, certain forms are required by the school for all students. For example, children without a signed SHBC consent can still visit the school nurse, as usual. What happens if my child needs treatment other than what the school nurse can provide, and I have not signed the SBHC consent? The child may have to be picked up and taken to another healthcare facility to receive the needed treatment. If I do sign the SBHC consent, will I still be able to take my child to their regular pediatrician/provider? Absolutely. The School-Based Health Clinic is not meant to replace pediatricians or other primary care providers. May I be present at my child’s SBHC visit? You certainly may. Simply inform the nurse or receptionist that you want to be present. As soon as you arrive on campus, be sure to check-in at the school office before proceeding to the clinic. Every effort will be made to contact you - usually by phone call, so please be sure to provide us with your most current contact number. An alternate & extremely useful method of communication is the Patient Portal. Having a portal account allows you to view lab results, communicate with clinic staff via secure messaging, receive Patient Care Summaries* for each visit, view/pay bills, view/update insurance & contact info, and more. *The Patient Care Summary is a document that includes: the day/time of visit, reason for visit, vital signs (height, weight, temp, BP, & pain scale), active problems, allergies, medication list (including meds prescribed at the current visit), current diagnosis, procedures, treatment plan, and other valuable info. Will I be charged for my child’s visit? No money will be collected from students, but we will bill the insurance in their file (Medicaid, CHIP, or private insurance), so please make sure you have provided us with the most current insurance. If a student does not have insurance, the visit will not be charged, however the parent/guardian will be assisted in applying for Medicaid, CHIP, or the Access Assistance Program. When applying for our assistance program, you may be asked to provide proof showing where you applied for Medicaid OR proof of Medicaid denial. NO STUDENT WILL BE DENIED ACCESS TO THE SCHOOL NURSE. Faculty & staff will pay their co-payment, co-insurance, and deductible at the visit - just as you would at a regular clinic.